Zaz is a new game for AROS. The game is developed by Remigiusz Dybka and is a logic game. 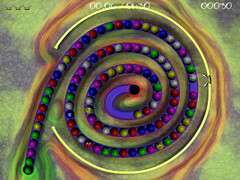 In the game you must arrange the balls in groups of three.